I have been munching on a lot of junk these days. I know that eating junk is not good but I just can't resist eating those tempting Vada pavs, Manchurian, and Pizzas. We all know how important it is to stay fit and healthy, but I cannot think of anything else when I am hungry. I crave a lot while I am working. So, I found a perfect solution for this. 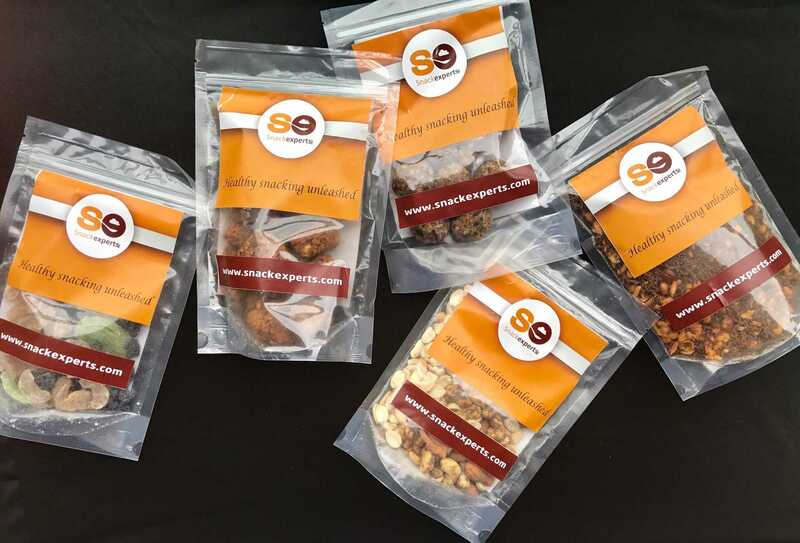 Snackexpert sent me a box full of healthy snacks. I tried them all and trust me they are delicious and nutritious as well. 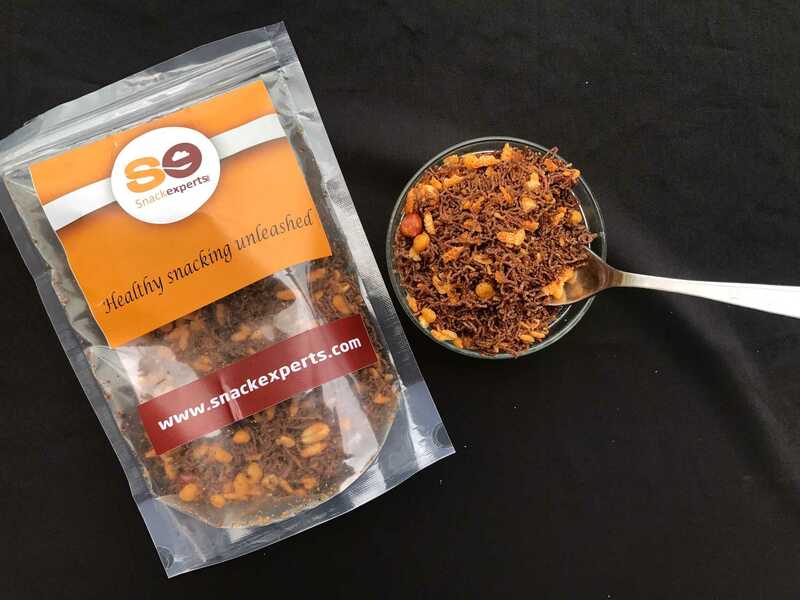 Let me tell give you some idea about Snackexperts. 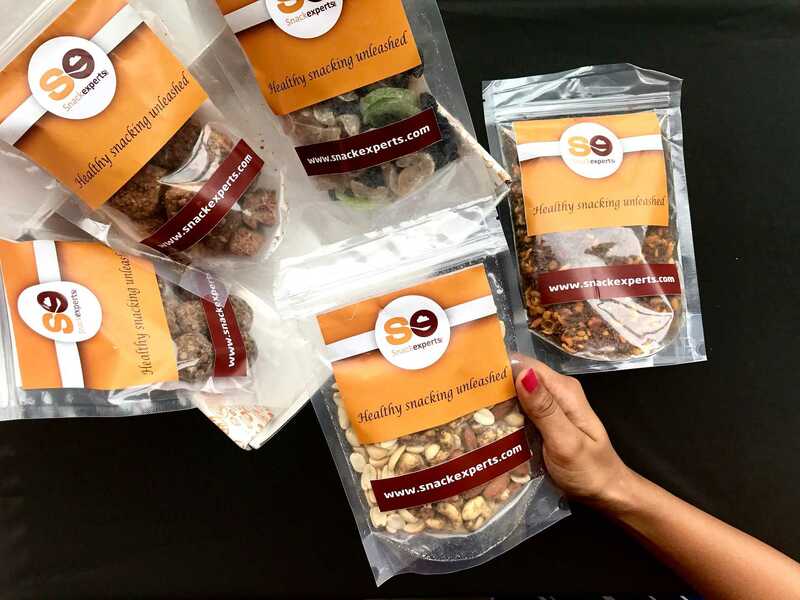 It is a snack box where you can select from the variety of delicious snacks which gets delivered to your doorstep. They have snacks from nuts to flapjacks to everything delicious. 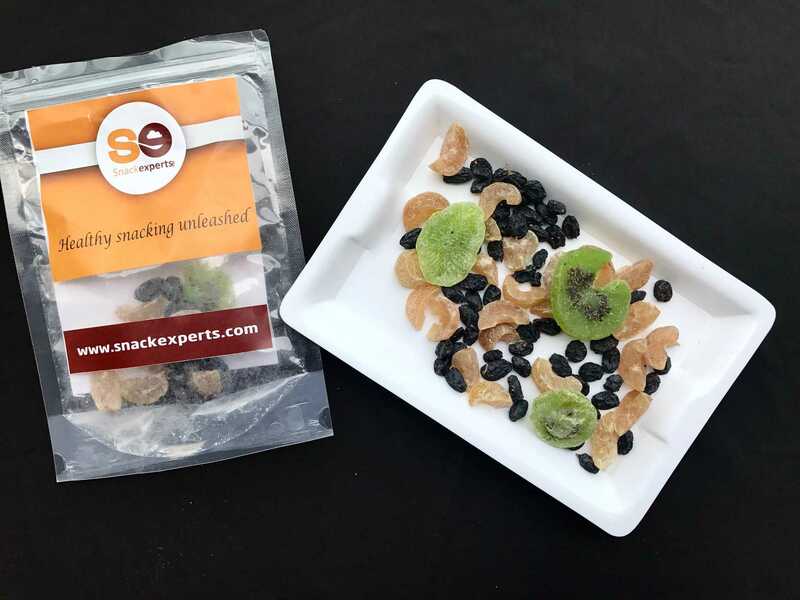 If you are skeptical about ordering the entire box, you can also try their trail box which costs only 150 per box containing 3 pouches of yummy snacks. 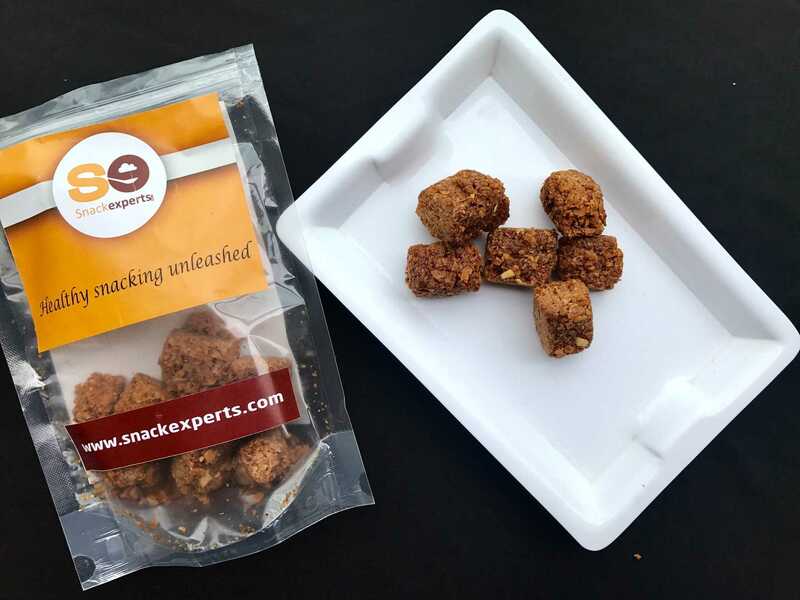 And if you are excited to taste these snacks you can check their standard box and Smart snacker. Coming to what I received in my Snackexperts box. 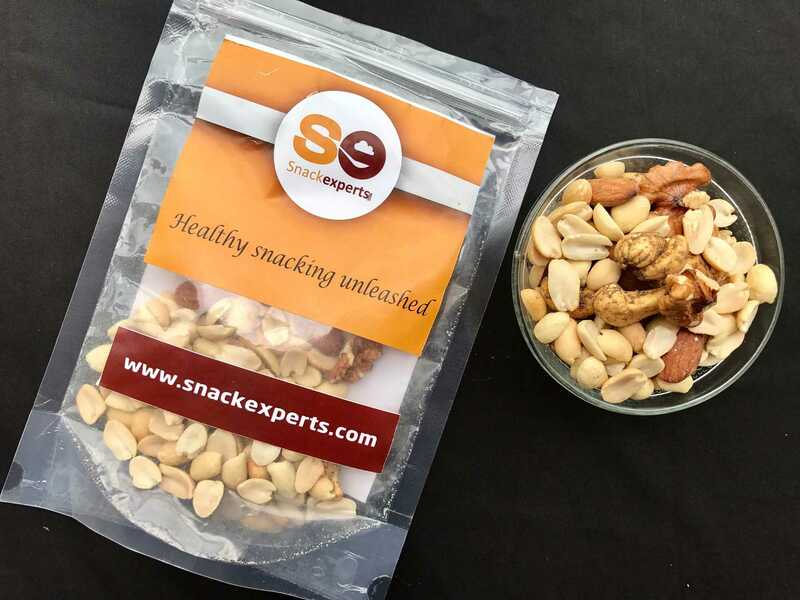 This packet contains the mixture of almonds, walnuts, peanuts and cashew nuts. I need not say how nutritious nuts are. You can eat a handful of these when you are craving a lot and have nothing to eat while you are working. This one has more of cinnamon taste than almonds. If you don't have much of sweet tooth, you will love this one as it has a slightly sweet taste. they also have chocolate and original seeds flapjack. I started to eat oats for breakfast every day as it is considered healthy. But I was done with it in a week. I don't know whether it's only me or even you guys hate eating oats. I don't find it tasty at all so could not continue eating it. When I saw this Oats and Nuts ladoo, I was quite sure, I won't be able to finish it. But that's not the case, I absolutely loved these yummy ladoos. 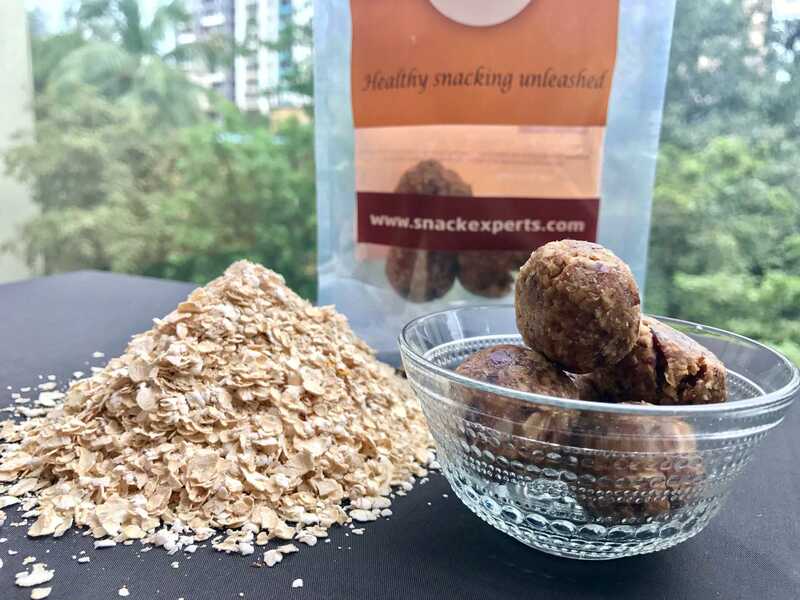 The ingredients consist of oats, black dates, figs, almonds, walnuts and flax seeds which tastes far better than normal oats with milk. If you ever want to eat anything crispy, grab this packet of ragi mixture and you will be satisfied for sure. This is my favourite out of all, as the taste is really good and I don't crave for junk food after having this. This packet contains dried Amla, black raisins, and Kiwi. When I crave for something sweet I eat a handful of this dried fruits. Hope you all will love this post.